Habitat: Desert, Riparian. This plant is a weed in irrigated areas. Description: The flowers are tiny, 5-lobed, and only open in the morning. The leaves are green, succulent, oval-shaped, and in opposite pairs of unequal size. 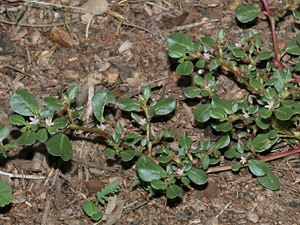 The stems are fleshy, prostrate, and often reddish in color. 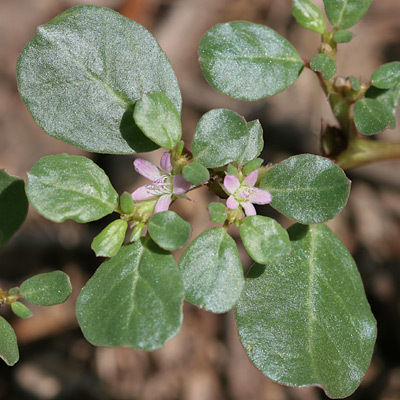 Edible – The young leaves are edible and were gathered as summer greens by the Tohono O'odham.